Anne's Kitchen - Pan Fried Basa with a Creamy Courgette and Chorizo Sauce - I adore the depth of flavour that chorizo adds to a dish. After living in Gran Canaria I really did fall in love with it. I usually add it to chicken dishes and of course to a paella but have not used it with basa. This recipe will be on my must try list! Searching for Spice - Caribbean Three Bean Salad - Now that September is upon us and the children return to school I am going to start thinking more a out myself and my health. My first step is to return to my healthy eating and this dish is perfect for that. Not only does it sound delicious but it also looks so pretty and colourful! Tales From The Kitchen Shed - Flower Bread - As soon as I saw this amazing bread art I was so impressed. It is a fantastic recipe and tutorial on how to create this delicious bread! The judges in the GBBO tent would have been impressed! In Other Parts of the World - Masala Chai - I adore chai latte but I will admit that until now I have not made it myself, I have used my coffee machine pods! But now that I know how to make it myself I will definitely be giving it a go! Now it is time to get cooking, blogging and sharing! I cannot wait to see what you have sharing. Remember you can share any foodie posts, both old and new. 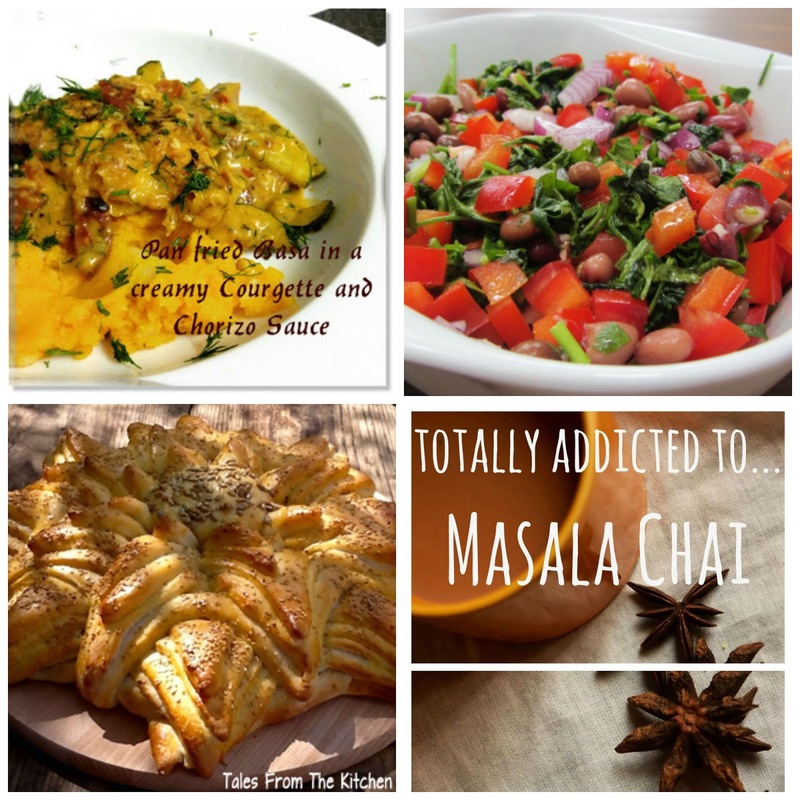 You can also share your recipes on the Facebook page and on the new Google+ community. If you need to see the rules you can find them here. Thanks so much for hosting and enjoy the rest of your week!